This is a finely detailed crane that displays the exquisite gracefulness of this creature . 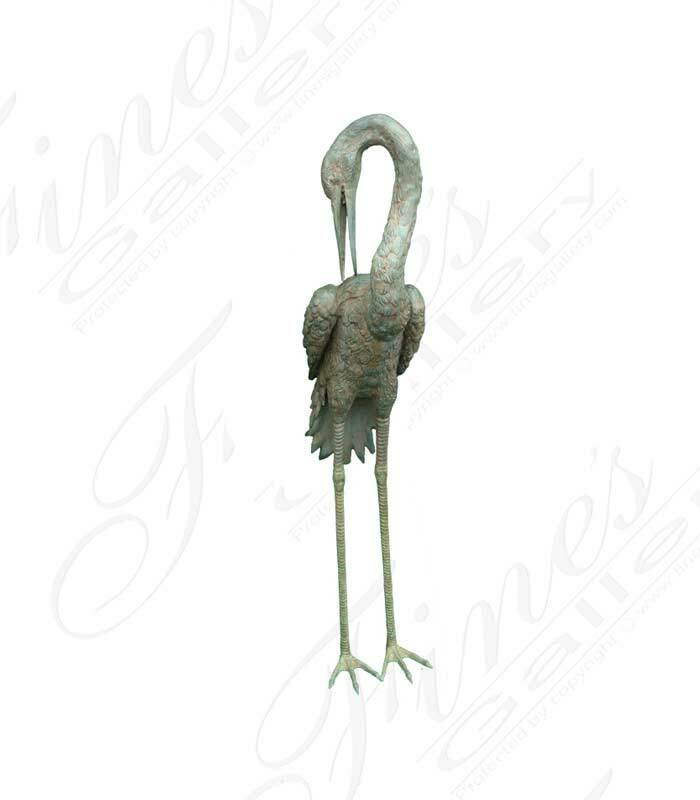 Made from light green bronze, these birds can be customized to any size you prefer. Contact us today. Yes I would like more information on BF-107.